This is it, True Believers! As we say in the comics biz, “This is the Big One!” We’ve been waiting a long time for this dose of Didja Know, and the moment’s finally arrived to talk about none other than Rick Jones! Why all the hullabaloo over this Jones guy, you ask? Listen—Rick’s one of the most important figures in what we proudly proclaim as the mighty Marvel Universe, charlie! And just because he’s (supposedly) dead doesn’t mean that the all-new IMMORTAL HULK #16 can’t celebrate him…and so shall we! Read on, and we’ll rock with Rick together! Didja Know… Rick Jones is considered the Ultimate Sidekick? After his fearless first appearance in the legendary HULK #1 way back in the bouncing beginning of ol’ Marvel, Rick Jones worked his way into the supportive spine of the newly minted Marvel Universe to become an essential part of it. 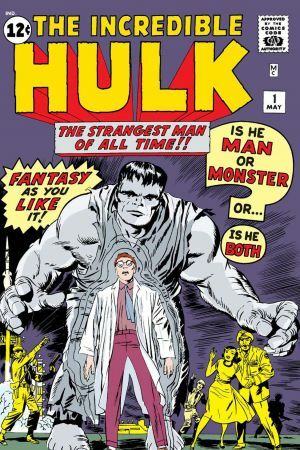 Sure, he played a rollicking role in Bruce Banner’s bombastic bomb-burst of a transformation into the Hulk, but Rick didn’t stop there, oh no! Almost immediately after, Mrs. Jones’ favorite son organized the Teen Brigade and alerted Earth’s Mightiest Heroes to a Hulk rampage in AVENGERS #1, which led to the frantic first formation of the founding members. From there, Rick fell into Captain America’s orbit and took on the marvelous mantle of Bucky, Cap’s World War II sidekick, in the classic CAPTAIN AMERICA #110, though that didn’t last long. Didja Know… Rick was once a rock-n-roll singer? We love this part of Rick’s story! And it’s all true—every note of it! So, Rick had always been interested in music and took a few stabs at it here and there when he wasn’t sidekickin’ it all over the galaxy and back. 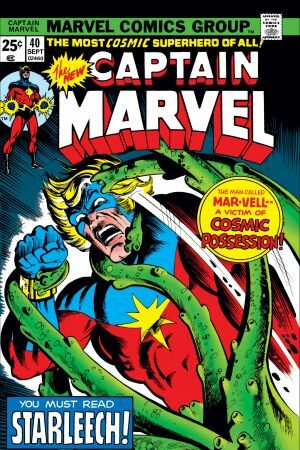 We think things really reached a riotous reverb in CAPTAIN MARVEL #40, a mighty moment in Rick’s crazy career that while not exactly Hall of Fame material, it still resonates with us today. Returning from a scintillating space saga with Cap, Rick returned to his roots and hit the stage one more with his act…and still dressed in the silvery spacesuit he hit Earth in! The crowd listened and watched intently, and when the last chord had faded from the amps, they laughed. Seems that the audience dug it all right, but Rick took it wrong and, after smashing his guitar, stomped off stage and asked Mar-Vell to whisk him as far from the planet as possible. Earth’s never seen anything quite like it again. Didja Know… Rick used to be able to change into a Hulk? Just when you thought the kookiest stuff was in the rearview mirror, we still have to tell you all about…the amazing, audacious A-Bomb! 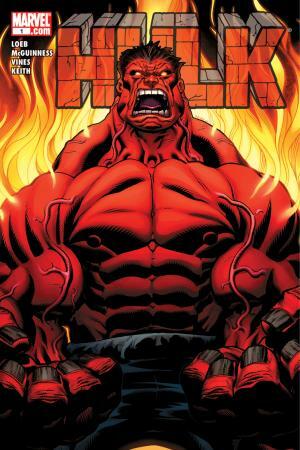 ‘Round about HULK #1, a new Red Hulk appeared in the absence of our old chum Bruce Banner, the galloping green Hulk. Then, in HULK #2, a blue beast calling himself A-Bomb hit the scene and all bets were off as to what was going down in the desert. 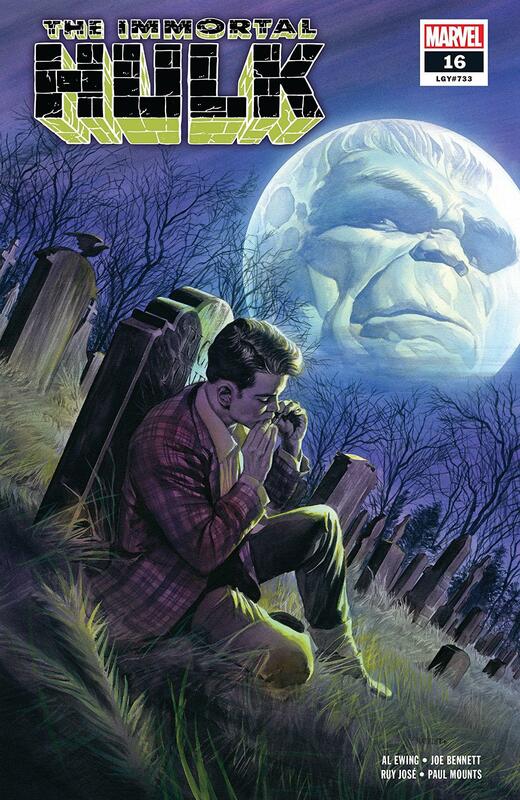 The best part of it, we think, turned out to be that the new, blue Hulk answered to the name of Rick Jones! How did that happen? Well, seems a group of big-brains called the Intelligencia, which boasted the Leader and M.O.D.O.K. in its ranks, hoped to help themselves to a wondrous weapon they could control and so transformed Rick into A-Bomb, and boy did he make a splash of it! Here’s to rockin’ Rick Jones, sidekick, singer, and Super Hero all in one! Peruse these eye-poppin' publications with Marvel Unlimited right now! Then experience the latest chapter of Rick's story with IMMORTAL HULK #16, on sale at your local comic shop next Wednesday, April 3!